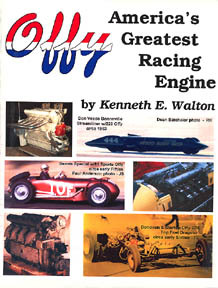 A very technical book by Offy guru, Kenneth E. Walton. The Offy was a mechanical masterpiece which raced and won from the 1930s into the 1980s. The final attempt at Indy was in 1983. The Offy ran in midgets, sprints, Indy cars, sports cars, dragesters, and in land speed record cars. This book is filled with diagrams and photos.